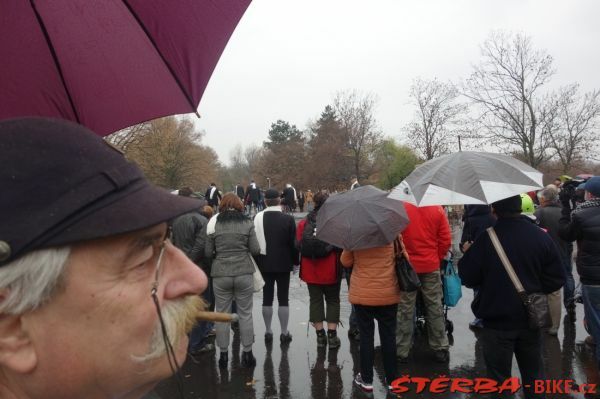 Do you know the word for „season’s end“ in Czech? 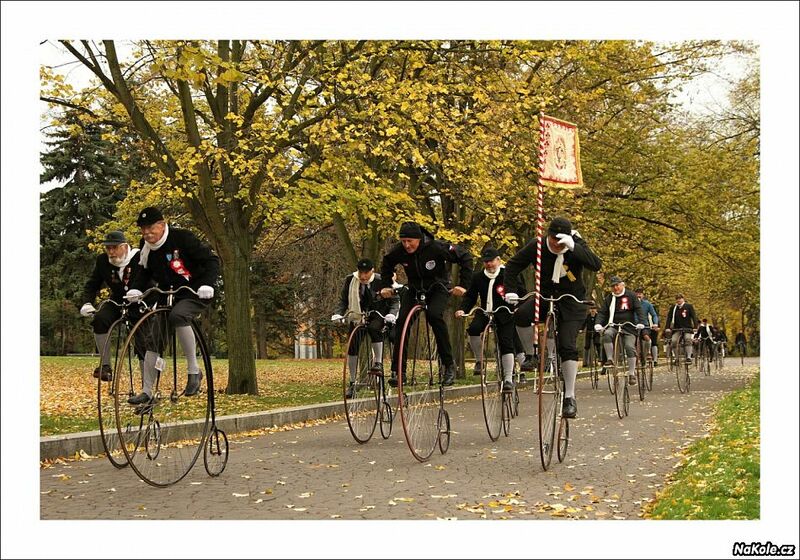 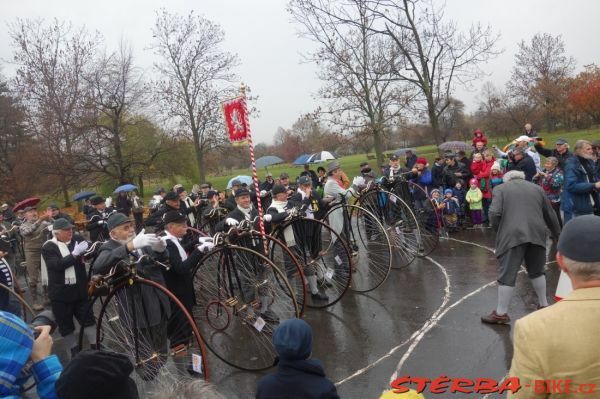 Since 1993, the Czech Velocipedist Club 1880 organizes this year-end event with 350 collectors of historic bicycles coming out even to the initial meeting and 1-mile race. 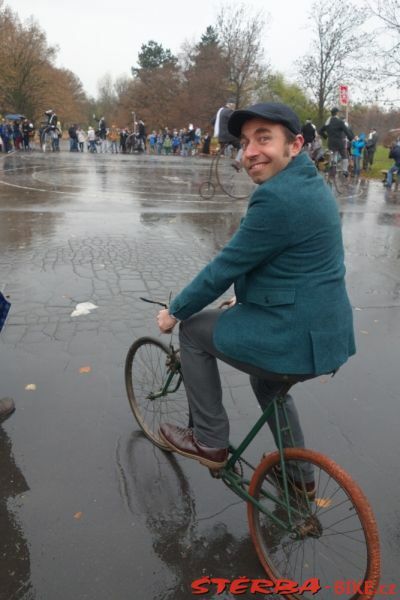 Some vintage bike rider showed up with the results of a bit of fall weather tuning. 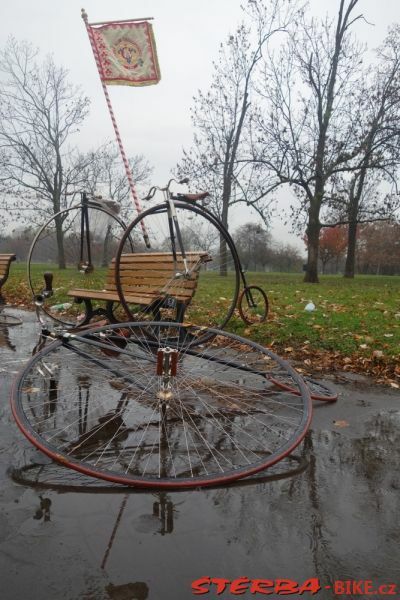 However, since pennyfarthings in general don’t make for very good off-road riding though, it may be time to call this season quits, after all. 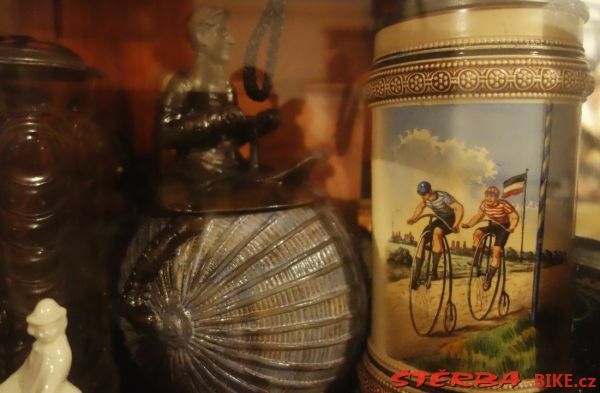 Pictures borrowed from NaKole.cz (in Czech) and STERBA-BIKE.cz, a site highly informative and entertaining for anyone who appreciates the looks and soul of vintage and historic bikes.